You’ve seen the supposed photos of the upcoming iPhone 5S’s chassis and watched a video depicting the scratch-resistance of the plastic iPhone 5C. Now what? 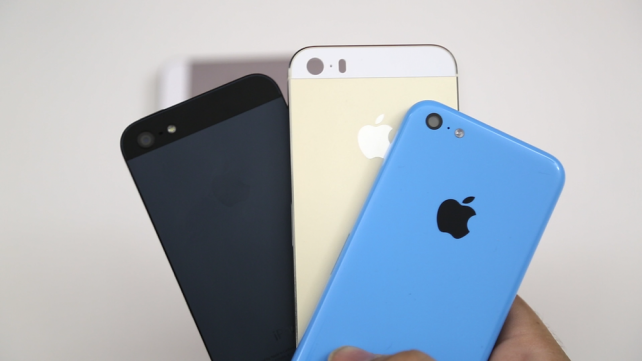 Well, how about the ultimate video hands-on showing off the rumored gold/champagne iPhone 5S and a blue iPhone 5C variant next to an iPhone 5? Dom Esposito of AppAdvice has gotten hold of a high-definition video that seems to provide a rather detailed comparison of what appears to be the casing of Apple’s rumored gold iPhone 5S and the polycarbonate plastic iPhone 5C. The clip compares the iPhone 5S/5C casing to the existing two-tone aluminum and glass design of the current-generation iPhone 5, have a look below. Of course, there’s no telling whether these parts are legit, even if they line up with previous leaks. As shown in the video, the back inlay on the gold/champagne iPhone 5S has enough room to accommodate the rumored dual LED flash, but aside from its color, there’s not much of a difference when compared to the iPhone 5. The author notes that the “iPhone” text on the back appears to be a bit thinner on the 5S relative to the 5, though“its font matches the text found on the blue iPhone 5C”. As per usual, you’re advised to proceed with caution, pinches of salt and everything. Firstly, even though these images look authentic, there’s no telling whether the supposed plastic iPhone represents a genuine part or if it’s some prankster’s exquisite 3D print (imagine that). Secondly, that gold iPhone 5S casing could have been easily faked by anodizing the existing iPhone 5 chassis and most people wouldn’t be able to tell the difference. 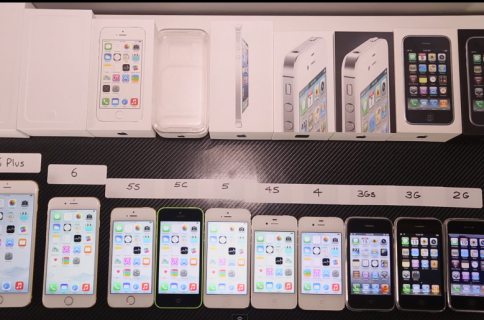 Thirdly, it could also be a counterfeit iPhone – they’re that good. Fourthly, the iPhone 5C shell could be for an Android handset – it wouldn’t be the first time a white-label maker sold an Android phone based on the budget iPhone design. And lastly, even if these are actual prototypes, there’s no telling if we’re dealing with the final designs here or early-stage prototypes that Apple could have dropped long ago. 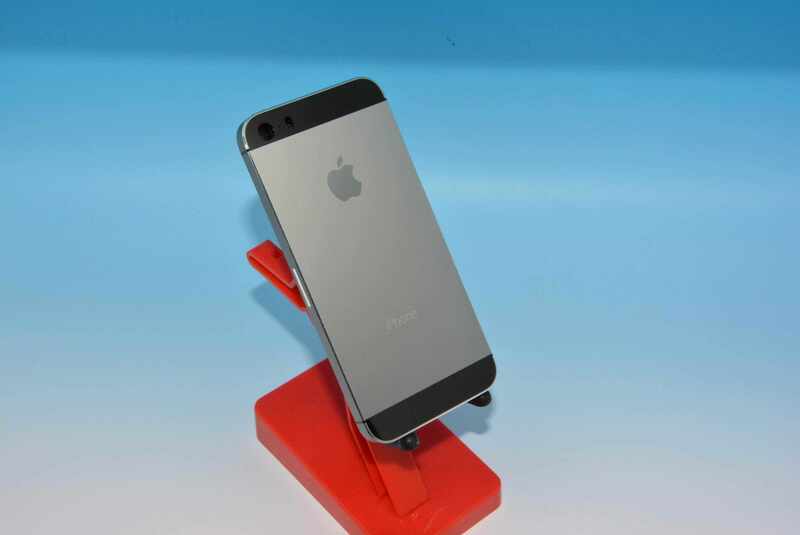 For the sake of completeness, our favorite parts leaker Sonny Dickson published the above image today, suggesting another possible iPhone 5S color option – graphite. At any rate, the prevalence of these “leaks” is a tell-tale sign we’re getting close to the official announcement.